If you are like many business owners, you probably fall in one of the following categories. You know a business website is ideal for your enterprise but you have never had time or money to make it a reality. You have a business website you aren’t so proud of. You often give excuses for not making it better. For anyone falling in the above categories, WordPress provides a great solution to your problems. For those who have used WordPress for long enough, you definitely have an idea of how great this platform can be. If you are yet to join the bandwagon, the following reasons might as well make you want to be part of it today. Seeking the services of experts likeLasVegasWebDesignCo.com is a great option when you want a website. However, you do not need to be a coding guru or internet mogul to set up a WordPress site. You simply need internet connection and a web browser. For someone going through this article, you already have what it takes to get started. WordPress.com offers free websites. You will only need a small fee to host your domain name. For a small entity that is just picking up, WordPress.com provides an amazing platform that is easy to manage and update if need be. WordPress themes give you the luxury of owning a professionally designed website without the additional cost of hiring a designer. With over two thousand free themes up for grabs, you have every reason to own an amazing site without spending a fortune on it. For advanced and more responsive themes, you can take advantage of commercial sites like Theme Forest at a small fee. What makes sites unique is their additional functionality. Do you want to add extra functionality to your WordPress site? Relax because there is definitely a plugin for it. 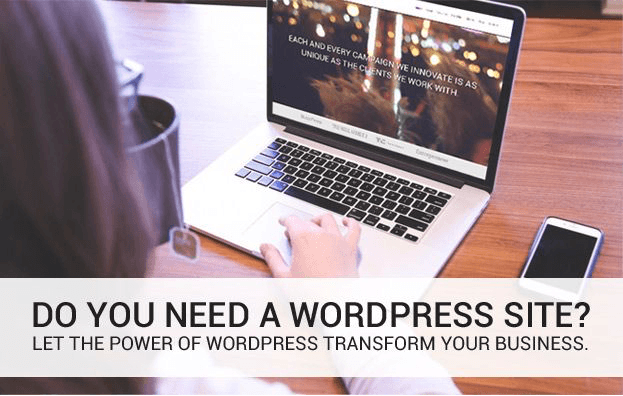 WordPress Plugins give you the opportunity to add sophisticated business features to your website without having to hire an experienced coder. The flexibility of WordPress Plugins provides extensions for any possible additional feature. It doesn’t matter whether you want a simple platform or a fully integrated e-commerce platform; WordPress has it all figured out! Who doesn’t want his website to grace the first page of search engine results? Getting in front of your audience is the ultimate goal of every business. WordPress comes with easy solutions to tons of SEO problems. With additional plugins like Yoast SEO, the deal gets even sweeter. It is easy to optimise a WordPress site to be in tune with search engine demands and you can achieve this effortlessly. That is what makes the difference! WordPress is over a decade old and still counting. People trust it and that explains the extensive popularity it enjoys. For the many years that it has been in existence, WordPress has been tested, refined and configured to suit the rising needs of the existing clients. If you didn’t have any reason to embrace WordPress for your corporate site, you now have loads of them. Issa is a content management expert based in California. She’s passionate about blogging and web development. You can view some of his contributions at LasVegasWebDesignCo.com. Web design has drastically changed since I built my first site in 2012. While the term Web 2.0 has been become cliché, it still describes the user-centered nature of modern web design that tightly integrates with social networking sites, blogs, video sharing sites, mobile devices, web apps and other services. One of the cornerstones of modern web design is the ability for a client, with no technical knowledge, to update their own website from anywhere at anytime. A website built with a Content Management System (CMS) makes this easy for a client to add pages, change text, upload photos and videos and publish blogs—all on their own terms. There are hundreds (probably thousands) of CMS systems but one has emerged to me as the clear choice—WordPress. If fact, virtually all sites I build now are custom WordPress websites. Enough about the history of it, though—what are the benefits of using it to power your company’s website? One of the reasons WordPress has grown so much in popularity is that the software is so easy to use for people who have no technical skill. Basically if you can use Microsoft Word and Facebook then WordPress will be intuitive for you. Tasks such as adding new pages, images and video are now easy for everyone. WordPress runs in your web browser. So from any computer with Internet access (at home, at the office, on a business trip, etc) you can log in and update your website. Even from your smartphone! After your website is built and live, you can update it yourself. No more waiting for a web designer to schedule you in for a simple change or two. The coding and structure of WordPress is great for search engines. 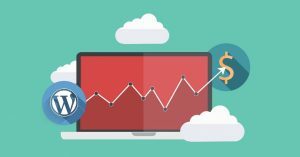 Now don’t get me wrong, most companies would still need to do Search Engine Optimization (SEO) to get strong rankings, but you will get much greater traction using WordPress than most other CMS choices. With WordPress, you have access to thousands of plug-ins most free that can extend the functionality of your website. 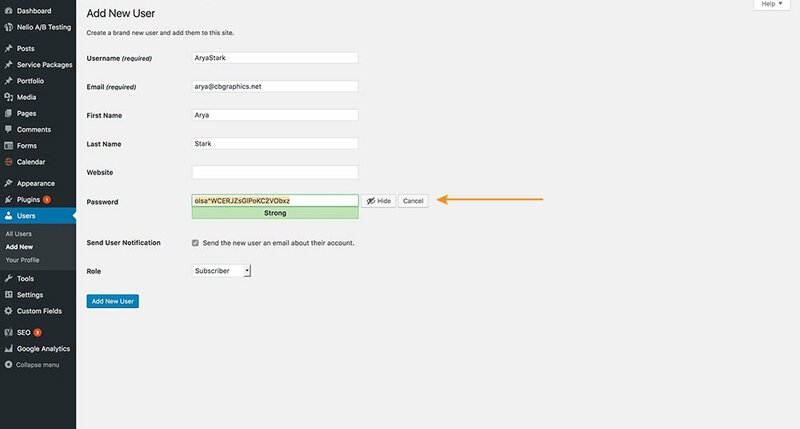 Add features such as contact forms, Twitter and Facebook streams, video, Google maps, audio, event calendars, slideshows, photo galleries and so much more. As your business grows and web technology continues to evolve, WordPress will grow along with you. You can create thousands of pages, blog articles, images and video over time without slowing down your site. If your company has several people who need to update your website (such as different blog authors) you can easily create individual accounts for each user. And each user can be assigned different access levels. So you can limit access to advanced features that you want to reserve only for your IT staff, etc. With traditional software, companies have to worry about upgrading and compatibility with their other software and networks. 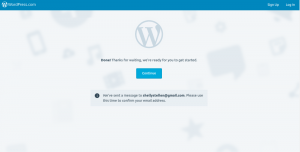 With WordPress, updating to the current version is as easy as clicking a button—the rest happens automatically in a matter of a few seconds. Since WordPress originally began as a blog service, it is a core feature built-in. You can make your site into a full-fledged blog (if you’re running an online magazine for example) or make it a “corporate” site that has a blog along with traditional pages. As part of the built-in blog functionality, visitors can comment to your blog articles and you can respond, generating buzz and connecting one-on-one with your company. As a business owner, you also have some different options to moderate the comments depending on your preferences. The construction of WordPress blog code is consistent and streamlined without excessive HTML code that Google finds very inviting for indexing. Plus, with the right setup, you’re able to customize every page or post you make to give you the highest possible probability of getting your pages in high search results positions. No need to produce a second Web site just for mobile users. 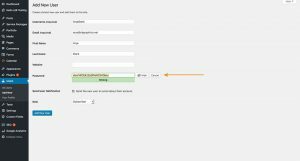 WordPress automatically recognizes if a person is viewing the site through a Web browser or mobile device and configures the content to be viewed appropriately on either. Designers are notorious for creating Web sites that are too wide to print. With a simple plugin, all your WordPress blog site content can be easily printed in easy-to-read format…without creating duplicate “printable” versions of pages. No need for sacrificing screen view design just so that people can print the pages.